An Estonian-born lawyer has been recruited by an expanding Shropshire law firm. Marina Hadorik, who had worked within county legal businesses in a range of roles for eight years, joins Wace Morgan Solicitor’s Shrewsbury office specialising in family law. Marina, who has lived in Shrewsbury for almost a decade, not only offers advice and assistance to Shropshire based clients but also represents Russian speaking clients nationally. Marina graduated in social sciences from Tallinn University of Technology in Estonia with a thesis on the prevention of torture, inhuman or degrading treatment or punishment in Estonian prisons. She went on to work at the Legal Information Centre for Human Rights in Estonia before moving to the UK where she gained a graduate diploma in law and a distinction in her legal practice course from the College of Law in Chester. She was elected a vice-chair of the Shropshire Junior Lawyers Division in 2012 and plays an active role in running the group by organising educational and social events benefitting young lawyers and lawyers to be. 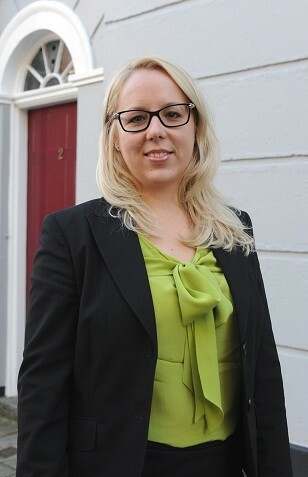 “I am delighted to have moved on to a prestigious firm such as Wace Morgan, where I will work as part of the family department team, particularly dealing with divorce, finances and cohabitation disputes,” commented Marina.